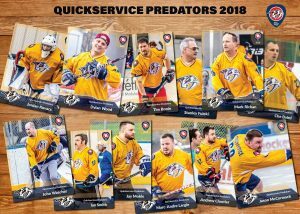 Such a project came my way recently when my colleagues decided to form a ball hockey team. They registered, paid up, and were ready to rock and roll in the Niagara region Ball Hockey D league. 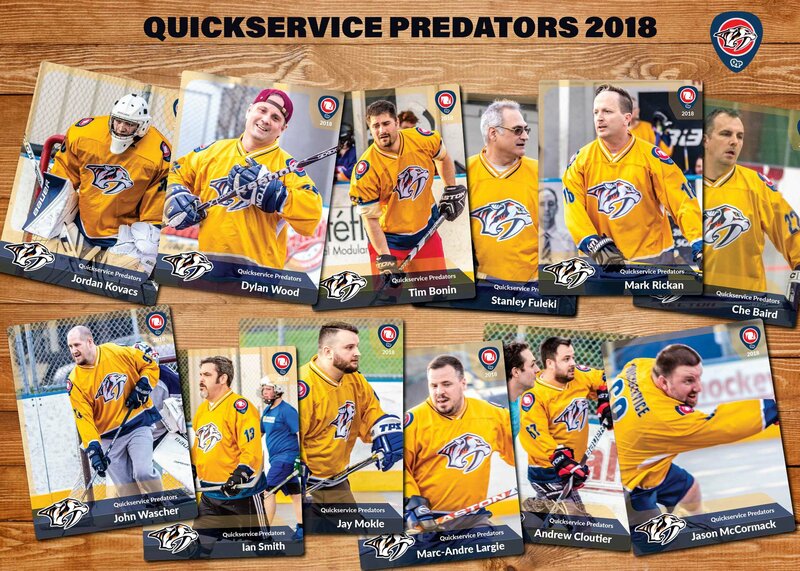 A mixed group of seasoned ice hockey guys and total novices, they had never played together before as a team. Without skates. Shoot, some had never played before, period. In hindsight, this was never likely to end well. 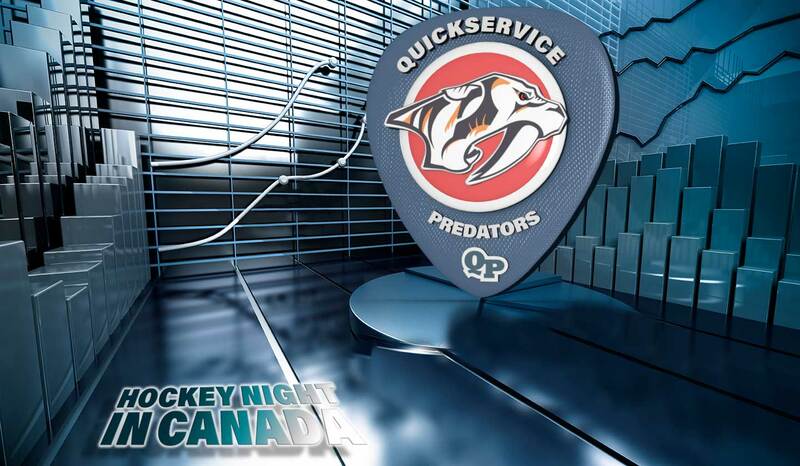 Anyhow, the Quickservice Predators (for such was the team name they chose) were playing their first season. And I thought they could use a morale boost, to kick start their inaugural season. So I recreated the sabre-tooth tiger used by the Nashville Predators (they really wanted that), redrawing it by hand and adding some orange splashes to personalize it. After choosing the team colours, I then designed shoulder patches. Added player numbers. Company name. Stripes. It was a short hop to send the final design to a local apparel company and have them make up team jerseys. They really looked like professionals. And that, I thought, would be enough for this personal project. But I wasn’t finished. I wanted to go to the next level. This is a hockey team, I thought. And what, I went on to think, says Hockey louder than player cards? Collectables. Something to show your grandchildren. So I made those as well. Turning out to a couple of games, I took a lot of photos of the team in action. I imported these into Adobe Lightroom and developed them, grouping by player. I cherry picked my favourite image for each player, then exported those into a ‘Finals’ folder. 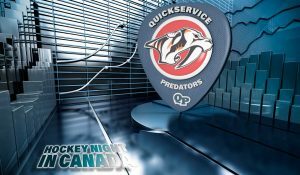 In Adobe Illustrator, I created a single artboard which included the team logos and player name, plus some visual elements for appeal. I duplicated this artboard, making one for each player. Then I imported the photos from the Finals folder I just created. That gave me my rookie cards for this season. Save. This is my library, and source for anything else I may make later. Top Tip: Never throw away what you can use again. From these Illustrator artboards I exported each player card as a high res image. The team had their cards. But I still wasn’t done. Time to step in to Adobe Photoshop. Using an image taken from my personal stock library (you can never have too many textures) as a base layer, I tossed these rookie cards onto a wooden table, and juggled them to get a look I was happy with. 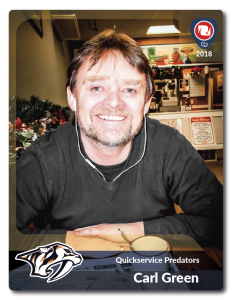 This is the look I emailed to the players, along with their individual rookie cards. Their responses were very satisfying. I won’t share the details. Some were very personal. It is enough to say that I was extremely happy that I had made the effort to do this. I thank them for their feedback. Team, it really was my pleasure. And I had a lot of fun doing it. This project looks so good it should be on Hockey Night In Canada, I thought. Since I created the logo from the ground up as vector paths, it was a simple matter to turn the component parts into 3D elements in Photoshop. I added textures and materials. Lighting. Background. And created this. Being 3D, I can drop this seamlessly into any image and make it part of the original photo. By adjusting the lighting to match an image, it’s entirely undetectable. No problem at all. There is something immensely satisfying about being able to put the sun where you want it. This integration is something I have been developing for some time. I really like the flexibility this workflow provides, and personal projects like this are perfect opportunities to play. At a later date I may even animate this into a spinning shield such as those seen on sports shows when team stats are shown. Hockey Night in Canada style. Again, just for fun. If it turns out the way I imagine it, it will be pretty amazing. These are things only possible in 3D. You can’t spin a flat image. All this started as a personal project. Not for fame, or fortune, or even profit. For my friends and work colleagues. All I get from this is the joy of doing it, and the gratitude of this novice ball hockey team in their first season. And you know what? I’m fine with that. I really am.